Sirianni Hardwoods produces kiln dried 4/4, 5/4, 6/4, 7/4 and 8/4 Red Oak and White Oak lumber. They also produce Northern Appalachian Ash, Cherry, Hard Maple and Soft Maple lumber. About 80% of their production is FAS/1F. The balance is high grade #1 COMMON. 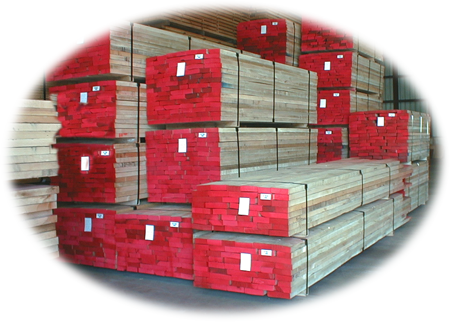 Customers can be assured that they will receive consistently good lumber, shipment after shipment. All lumber is double end trimmed, and graded after kiln drying by NHLA trained lumber inspectors. Planing (S2S) facilities are available on site. Quality control is key. "We guarantee that our lumber exceeds industry standards in all respects". Sirianni Hardwoods deals with Manufacturers and Distribution Yards throughout North America and around the world. Their location at the junction on routes Interstate 86 and Route 15 provides excellent access for flatbed trucks and containers. They also have a private Norfolk Southern rail siding for boxcar shipments.